The salary cap is $100,000. You can choose any players for each position but your lineup cannot exceed the $100,000 salary cap. Players salaries range from $1,000 - $25,000. 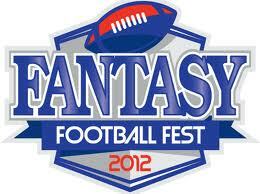 Weekly Redraft leagues are ONE WEEK LEAGUES that uses the FFF Live Draft Room to select your team! You will use the FFF Live Draft Room to select 12 Players for the week in a Snake Format draft. Start 10 players: QB, RB, RB, WR, WR, WR, TE, Flex, K, D.
You will draft 2 "extra" players which gives you the opportunity to draft a questionable player! You will submit a lineup using 10 of your 12 drafted players. Winners are based on total points for the week using FFF PPR Scoring format. 1/4 of teams are paid so 3 places are paid for 12 team leagues. These leagues will run with a minimum of 4 teams! Payouts will be adjusted accordingly if fewer than 12 teams using the same percentage of payouts!